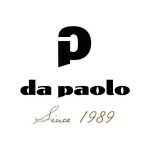 Da Paolo Group is a chain of Italian restaurants, bars, and gourmet delis, with 11 outlets located in Singapore. Management leverages SugarWiFi and Cisco Meraki hardware to offer customers a seamless guest wifi solution. The WiFi network was installed using Cisco Meraki hardware with SugarWiFi analytics software to deliver a reliable and robust WiFi experience and seamless social login. Da Paolo passively grew their marketing database to over 130,000 customers through the implementation of SugarWiFi. A custom branded splash page was implemented with a form and Facebook login. This allowed the restaurant chain to build a database consisting of customers names, emails, age, gender and social interests. Management wanted to increase the traffic to their online e-commerce website and grow their customer database passively to inform the customer about promotions. This was accomplished through a branded splash page with a form and Facebook login to collect SugarWiFi users name, email, age, and gender. In addition, no marketing collaterals were placed in any store letting patrons know there was WiFi available. Next, a URL redirect to their website was implemented. As a result, every customer who logged into the guest wifi was sent to their website, increasing their monthly unique site visitors by 300% month on month. Guest Wifi is now available at all Da Paolo Group restaurants that redirect to their e-commerce website and promotes their events as well. In the first month, the restaurant’s space had over 1,500 people log into SugarWiFi. The following month the number of wifi users increased by 31%. The average time online is 1 hours per user. Da Paolo has amassed a customer database of over 130,000 wifi users in 13 months. Hey Buddy!, I found this information for you: "Da Paolo Restaurant Social WiFi Case Study". Here is the website link: https://sugarwifi.com/da-paolo-restaurant-wifi-case-study/. Thank you.